Commensal is defined as "sharing one's table." Commensal rodents, which include Norway rats, roof rats and house mice, live off humans without returning anything of worth. What they do return is the potential for serious problems. Carry fleas and ticks, which potentially spread other diseases. Consume or contaminate about 20 percent of the world's food supply. Cause a great deal of anxiety for occupants of infested buildings. 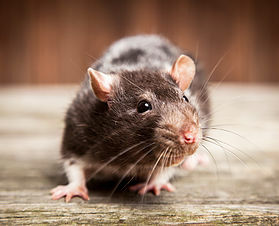 If you’ve discovered mouse droppings in your cupboards or drawers, have heard critters scurrying in the ceilings or have crossed paths with an uninvited rodent, contact us. Rodent infestations can get out of hand rather fast without professional help. Simply placing a couple traps around the structure will not completely take care of a rodent problem. Our trained professionals will complete a Free inspection to determine the severity of the problem. And based on the findings, they will tailor a rodent control program for your home or business.